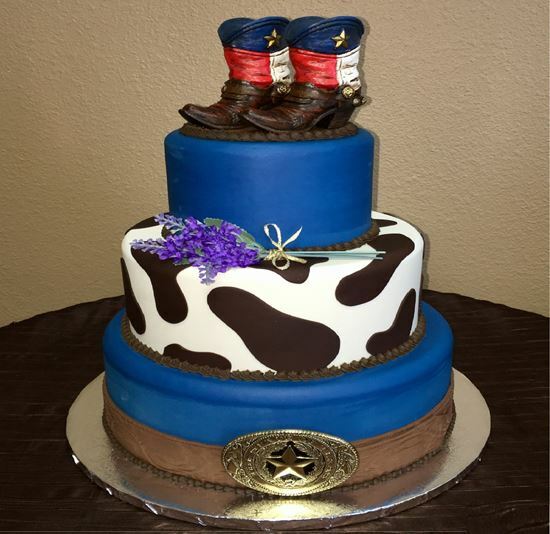 3 Tier cake with 6", 8" and 10" round tiers decorated with Cow-print, Boots & Belt Buckle. One In-stock boot Included. Belt Buckle not included. Serves 50 - 60 slices.